The former defender's club record of 26 free-kicks for the Catalans was broken in bizarre style by the Argentine against Athletic Bilbao. 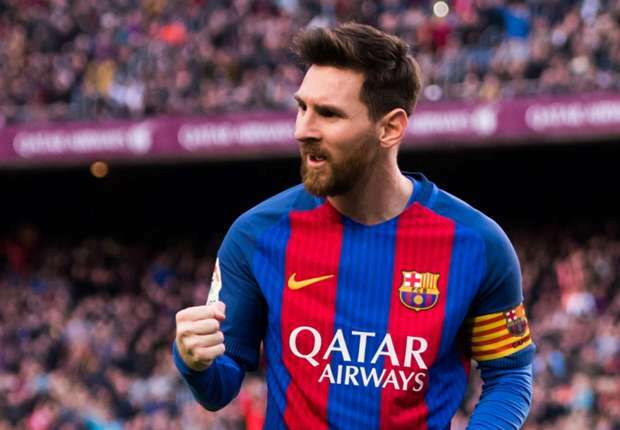 Lionel Messi broke yet another Barcelona record on Saturday, becoming the most prolific free-kick goalscorer in the history of the club - surpassing Ronald Koeman's 26 strikes. Barcelona already led 1-0 against Athletic Bilbao through Paco Alcacer when five-time Ballon d'Or winner Messi stepped up to take a set-piece from close to the byline on the right of the penalty area. The Argentine's low shot was on target but Gorka Iraizoz should have kept it out after getting a hand to the effort, the Athletic goalkeeper's failure to do so handing Messi a club record 27th free-kick goal for Barcelona. Messi had drawn level with Koeman's mark with another free-kick special against Athletic in the Copa del Rey in January that made it three set-piece goals in three games for the forward, leading the Everton manager to congratulate Messi on social media. It was a record-breaking day collectively for Barcelona too, as Aleix Vidal added a third to secure the points and score Barcelona's 100th competitive goal of the season so far in the process. 0 Response to "MESSI BREAKS KOEMAN'S BARCELONA FREE-KICK RECORD"